The METaL project recently held it first taster session of 2019. 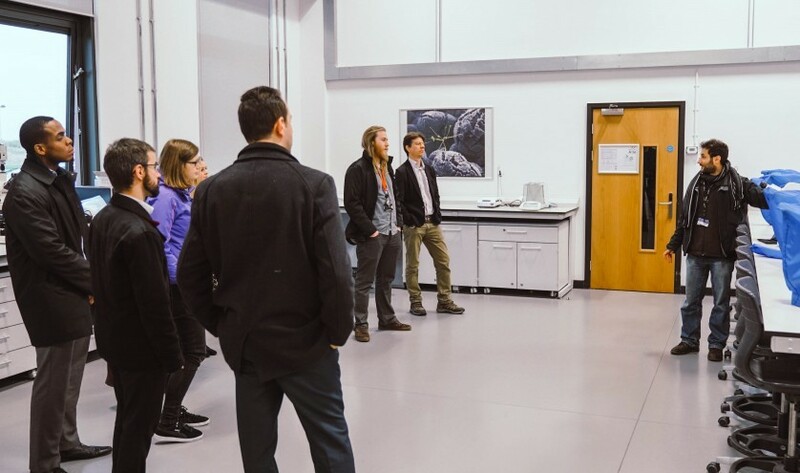 The Taster Session focused on Advanced Imaging Techniques and Materials Characterisation and provided a rare opportunity for businesses to visit the Advanced Imaging of Materials (AIM) facility at Swansea University. AIM is a £9M Engineering & Physical Science Research Council (EPSRC) / Welsh Government funded integrated scientific imaging facility for Wales that can provide advanced imaging and analytical capabilities. The session provided an overview of current technologies used for the characterisation of materials such as surface analysis, polymorphism and trace analysis. METaL’s taster sessions are an opportunity for industry to understand the Project’s training offering, to gauge industry appetite for new course development and to link with other University resources and capabilities. Based on feedback from the session businesses were very impressed by the AIM facilities and indicated a real appetite for METaL to develop an Imaging & Characterisation course. It is anticipated that a course will be delivered in late Spring 2019, the course will appear on our timetable once dates are available.